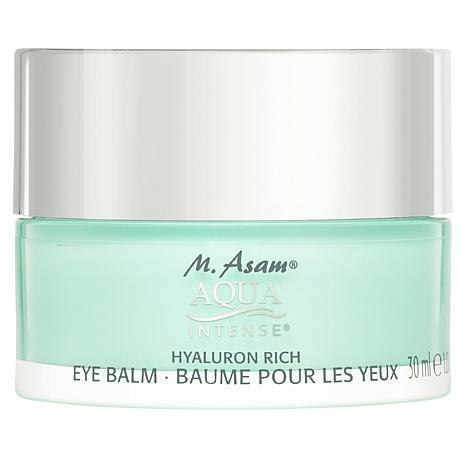 This rich, fragrance-free eye balm is especially designed for cold winter months or the needs of dry skin. It contains M. Asam®'s hyaluronic acid complex for intensive moisturization and provides a plumped up appearance to the eye area's delicate skin. Pilot studies for M. Asam's hydration complex showed an immediate and long-term hydrating effect on the skin, up to 30 minutes after application. Up to 48 hours of skin hydration, even after just one application. 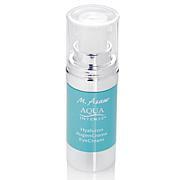 Skin hydration up to 5 days after application; skin is refreshed and visibly smoother and nourished with moisture. This is wonderful, it does what it says it does. Makeup goes on smoothly no peeling. Soaks right in. I have oily, sensitive skin, and in my mid 50's. No lines, this is very moisturizing. 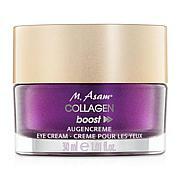 Best eye cream ever used. I use a lot of M Asam and Lancome. I decided to try this eye balm during their last show and I'm glad I did. It's very silky and rich but not greasy. 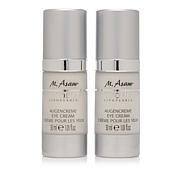 I prefer it to the traditional eye creams, even from the M. Asam line. I will likely order this again, although it seems like it will last a long time. 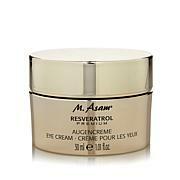 I really like that about M. Asam, their stuff is very reasonable, lasts a long time and get the job done.